We provide idler wheels suitable for conveyors that uses straight running plastic slat chains, SS slat chains, thermoplastic side flex chains and SS side flex chains. Idler wheels are available in polyamide and UHMWPE as per customers requirement. 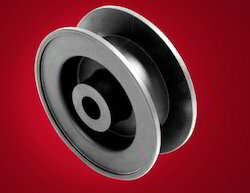 These wheels find their application in food and beverage industries where conveyors are being used. Modular Belts Thermoplastic Sprockets: These Straight Line Belts are suitable for conveying applications of fruit and vegetable, processing meat, fish and seafood processing, bakery and snack food, packed juices and beverages, bucket elevators for rice, pulses and granular products as well as for various dip tank applications. Our product range includes: steel conveyor belt, cleated conveyor belt, plastic conveyor belt, pvc conveyor belt, stainless steel conveyor belt etc. 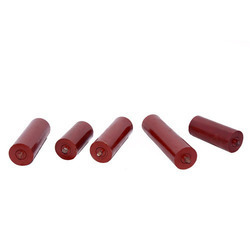 We offer a range of return rollers which are manufactured using the raw material poly amide. These return rollers are wear resistant. These can be availed from us in various models to suit the Shaft dimensions. We offer a wide range of drive sprockets that can used with straight running plastic chains, Straight running SS chains, tab flex and magnetic flex plastic slat chain and SS flex slat chains. 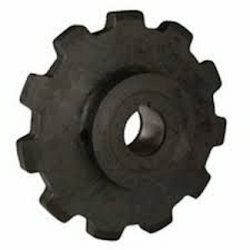 We provide both split and moulded sprockets that are used in double hinged slat chains. The products we provide are very stable and ensure durability. We manufacture Rexnord drive sprocket that is made with precision and attention to each and every detail. Looking for Sprockets & Idlers ?